Jeffrey S. Altman, the managing shareholder of The Altman Law Firm, is a Miami Slip and Fall Lawyer and Miami Premises Liability Attorney representing injured victims and family members of Wrongful Death Victims throughout Florida. In Florida, among many other places, Slip and Fall and Premises Liability incidents occur at the private stores where you shop (grocery store, clothing store, malls, restaurants, bars) and areas where you walk (sidewalks, parking lots, hallways, stairs). Quite often fall down injury victims do not have health insurance to pay for medical bills while the insurance company for the owner of the property where you fell is doing everything it can to minimize your ability to recover money damages. Due to the nature of how these incidents occur people often sustain Fractures, Injury to a Joint, Head Trauma and Spine Injury. The owner of the property where one falls can be negligent in causing your fall for many reasons including improper lighting, unsafe and slippery flooring, improper transitions from one type of flooring to another, failure to properly monitor or organize a room or event, failure to safely clean up spills or debris and failure to keep floors dry and safe from the outside elements. South Florida is a tropical environment with a lot of indoor and outdoor events. However, with the tropical climate comes a lot of rain and wind during much of the year. Business and Property Owners have a duty to maintain their property in a safe condition and failure to do so may cause serious injuries to an unsuspecting invitee. In Florida the cause of your fall is extremely important. If you fall in a business establishment because of a substance on the floor you may have a very specific law that controls your case. When people fall and are in a tremendous amount of pain, figuring out what they fell on is usually not their first thought. However, in Slip and Fall Incidents it is extremely important to preserve evidence of what substance caused you to slip. A photograph is best and the names of witnesses to the area where the fall occurred and cause of the fall are also helpful. Remember, once you leave, the substance on the floor will be cleaned up and a photograph at a late date will not have the same effect as a photograph with the substance on the floor. 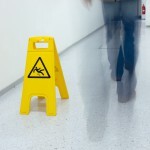 A good Miami Slip and Fall Lawyer will use various experts to establish the cause of a fall down injury. Some expert testimony includes topics such as lighting, coefficient of friction for flooring, construction, walkway maintenance and stair construction or maintenance. 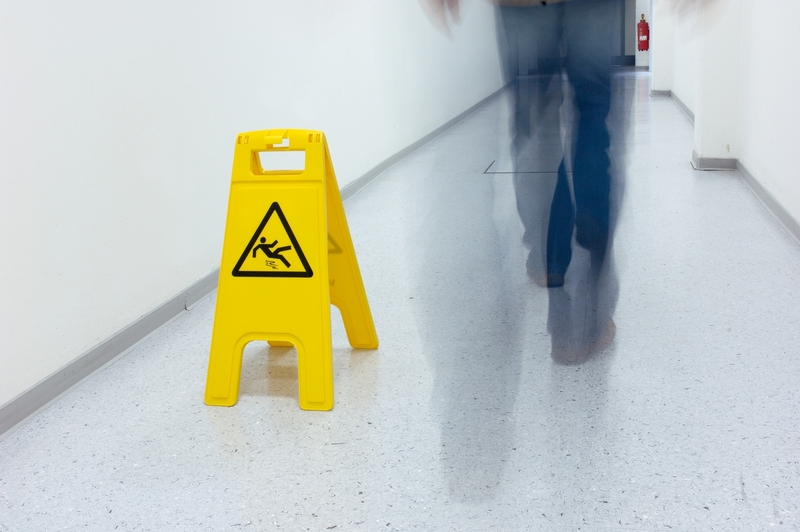 If you are injured due to a Slip or Trip and Fall Down incident and believe it was not your fault, it is important to seek the advice of a qualified attorney as soon as possible to protect your interests. Miami is a beautiful place to live and to visit but when you or a loved one suffers a serious injury or wrongful death due to a fall down incident it can be lonely going up against an insurance company on your own. Jeffrey S. Altman and the Miami Premises Liability Law Firm, The Altman Law Firm, have been handling these types of injury cases since 1998. We handle Catastrophic Personal Injury, Traumatic Brain Injury and Wrongful Death cases throughout the State of Florida. This Personal Injury Law Firm is located in Miami with quick and convenient access from North Miami, Miami Shores, North Miami Beach, South Beach and Aventura. Please call or email for a Free Case Evaluation to 305.373.3730 or jaltman@altmanlawfirm.com.